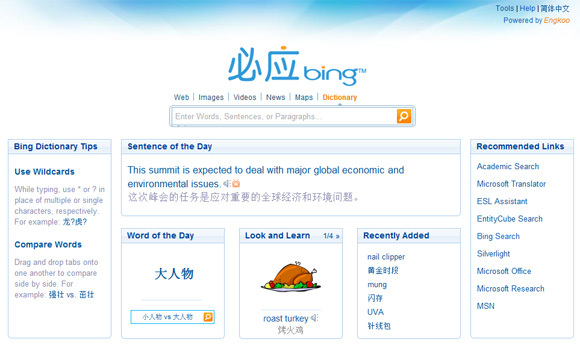 Bing Dictionary is a next generation English-Chinese bilingual dictionary and sample sentence search engine; it is particularly useful as a writing assistant and language learning tool. 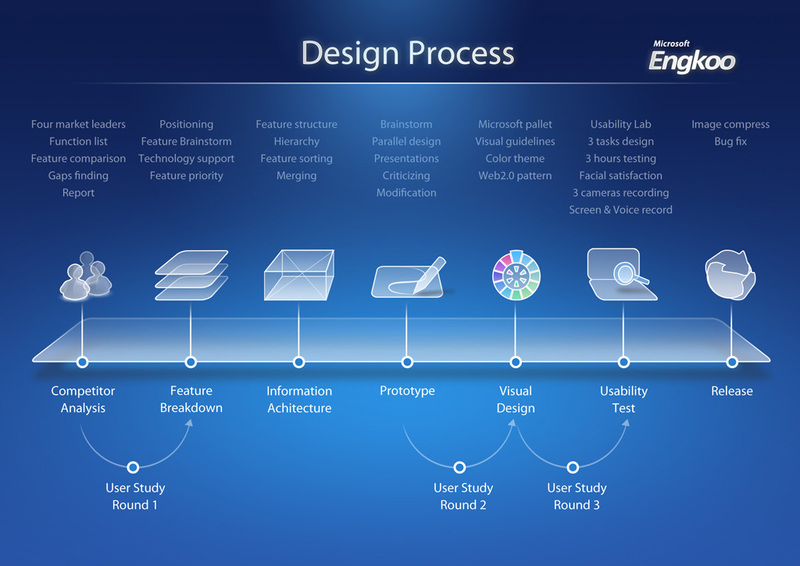 It was built by Microsoft Research Asia using innovative natural language, speech, user interface, and web mining technology. .
(Version 2.0) Phonetic Search, User Data Submission, Teaching Method Editor(TME), Bilingual Mapping, Dictation Game, MSN Portal English Channel, MSN Messenger English Tool. We designed the home page and search page all in one page. While a new search occurs, a new tab appears and the whole page won’t refresh. The old page can be looked back without doing search again. Speed is the first concern of an online dictionary for users. All other dictionaries have to refresh the whole page by searching a new word. 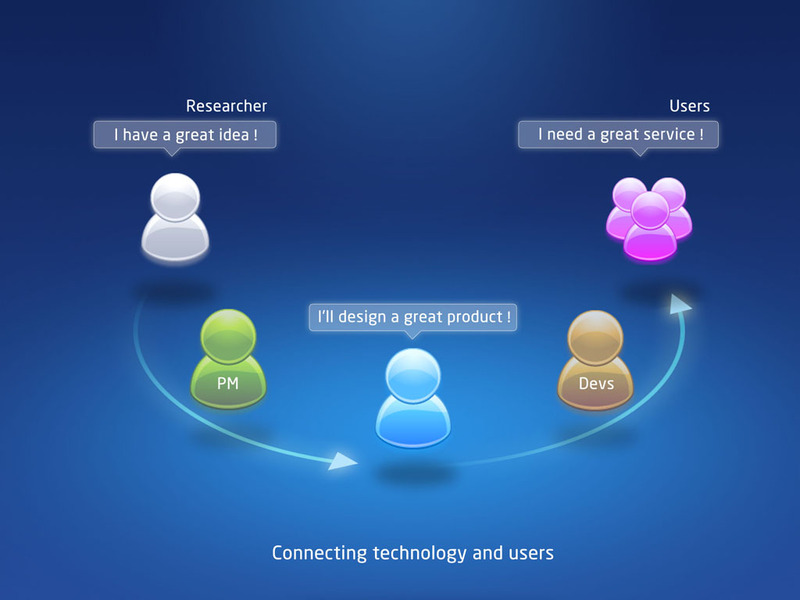 But users want get the definition immediately. Some words in English can be very similar in meaning, so it can sometimes be difficult to select the right one. 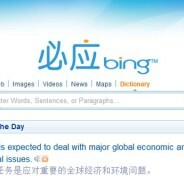 Bing Dictionary can help you with the ‘entry comparison’ feature. Just drag the tab of one word and drop it onto the tab of the word you’d like to compare it to; When you have finished with the comparison, you can click the icon to separate them. Online dictionary users are always want to look up back to the query history to compare two words without leaving the current page. 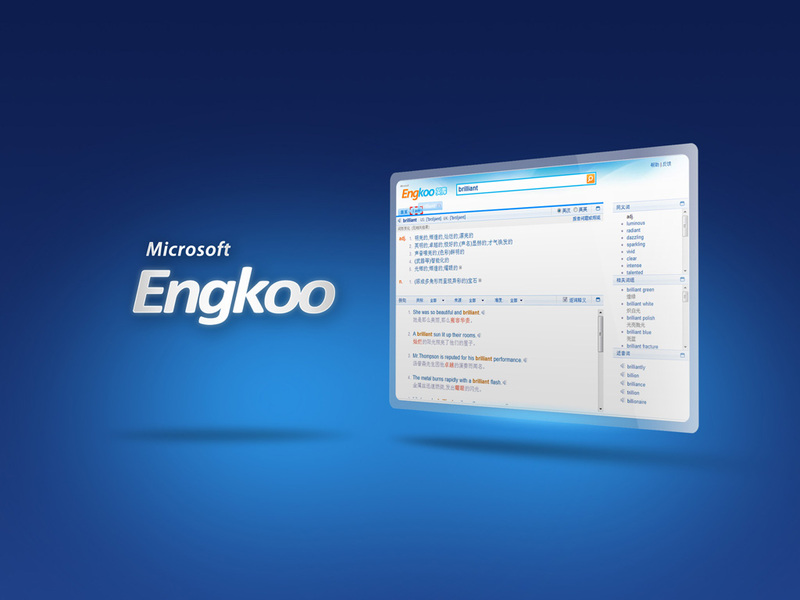 Engkoo allows users explore language by discovering new sentences using wildcard. To use it, simply input your sentence and put in a part-of-speech wildcard where you’d like Bing Dictionary to fill in. Researchers made an algorithm that can automatically recognize “POS“ of English sentence. “POS“ is the “Part of Speech“. In English writing, learners can find the word by translation, but cannot find out the “proper“ word that fit in the specific situation. When a user inputs text that takes up more than one line, the search box will expand automatically. We combined the word search and sentence translation both in one search box. The different feature will be only triggered by the different length of search query. Sometimes users need to search word, sometimes they want to translate a whole sentence. But they don’t want to select each function when they search. When looking for English words, specifically for those words where you know the pronunciation but don’t know the spelling, you can input anything you heard to search. 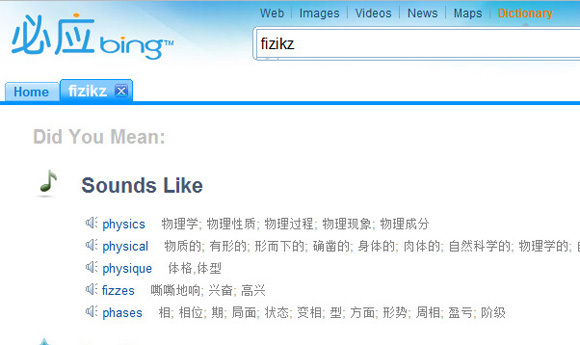 Bing Dictionary can then help you to find the correct word. Researchers can translate English words into phonetic symbols and then matching the similar ones together. 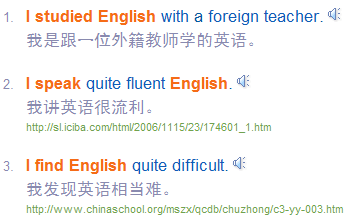 English learners always want to query the unknown words that they just heard. But sometime they cannot spell it correctly by pronunciation. When you mouse over you can see the translation aligned terms. Use it to not only learn how to construct sentences in the opposite language, but also instantly get context sensitive translations. Researchers can pare each words in the translation sentences. Due the difference of grammar, the construction of sentences are always different. In the sample sentences, users usually find unfamiliar words. But it is time consuming and distracting to query these words. They want to know the unknown words immediately. Engkoo allows users to filter sample sentences by category(spoken, wrriten, etc. ), source(from dictionary, Internet), level(easy, medium, hard). It fits people’s specific purpose of using and learning English. Researchers made an algorithm to classify the sample sentences by category, source and level. Users want to shorten the sample sentence list to get what they specifically want. When looking for a specific inflection of one word, users can simply click on the inflection to get the sample sentences filtered. In the sample sentences, users always want to find the ones with specific inflection of one word. Such as they want to find how “taken“ used in sentences rather than “take“, “takes“ or “took“.